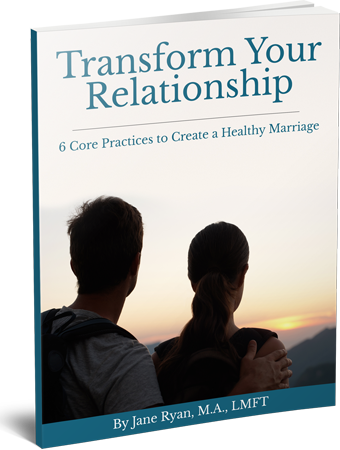 Whether speaking to other professionals or to groups of couples, Jane’s presentations focus on taking life’s most challenging events and turning them into opportunities for growth, healing and transformation. May 2015 “The Myth of Sexual Addiction.” Pacific Lutheran University Marriage and Family Therapy Program. June 2015. 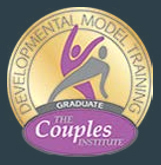 “What is Effective Couples Therapy?” Bastyr University Marriage and Family Therapy program. April 2017 “Talking to Clients about the Relational and Sexual Challenges of Breast Cancer.” California State University, Stanislaus, Department of Psychology. April 2017 “Difficult Conversations: Couples’ Challenges Resulting from Breast Cancer.” Good Samaritan Hospital, Puyallup, Washington. What a tremendous help your work is when cancer is a part of psychotherapy treatment. I began sharing the information and resources immediately with my clients... It is obvious that every element of your presentation has been lovingly and skillfully prepared. You’ve taken something, difficult and feared, and shown us a path toward transformation—what a gift. Thank you! Your presentation was amazing.What struck me most about your presentation is the amount of relational growth that a therapist can encourage in couples who are confronting breast cancer. You have presented a very encouraging and optimistic view of breast cancer for couples, a situation that has the capacity to devastate and destroy a partnership. You have the capacity to make a huge impact on the medical community, the therapeutic community and the individuals affected by breast cancer. Thank you. Ryan Therapy Services works indepen- dently of insurance companies. If you would like reimbursement from your insurance company, Ryan Therapy Services can provide an invoice for you to submit directly to your insurance company. Full payment for services is required at each session. For a listing of our Therapist’s fees, please visit our Team page. You sought to truly understand and challenged me in ways to think differently or approach things differently. To be compassionate to myself for my work and efforts. You are very comforting, soothing, welcoming and understanding. I would imagine that you’ve experienced similar challenges in your life. You seem to truly understand the situation. You established a very easy, comforting atmosphere and aura. Your location and set up is terrific and I truly think that helps. It feels safe, secure, secluded enough to relax and converse. You are very calming, and make me feel like everything I’m going through is manageable/normal. Also, you are very good at asking me to look at something another way. Your style is relaxed, open, calm, and soothing. You point out positives but also push people to think different and grow. The one thing that stands out in my mind, about what you’ve said to make me feel understood, etc., is that I need to have compassion toward myself. That hit home with me. I have never really stopped and thought that it was ok to be compassionate toward myself. That concept has really helped me and continues to help me. I have gained more understanding of myself. You translate the technical terms, approach, and all those things that a highly educated therapist knows into a simple understanding and application. You bring it down to my level and help me identify and better understand the what and how. You make it a conversation and not just a Q&A session. Not only do you listen, but you talk with/to me – sharing life experiences, validating and often challenging me to think of things in a different way. You are not judgmental. You show compassion. You make me feel comfortable enough to share. So, from my perspective, it’s the entire you that makes me trust you. I think the structure of our sessions make me feel valuable. It’s the conversation and not the “what I am hearing you say…” approach. You allow me to share what is happening in my life, how I am feeling and thinking and from there we zero in on important things and then explore what those “things” mean, where they may come from and how I can better address them.